It's easy to contact me! If you have an enquiry, send an email to this address: hobray at gmail.com (replace the 'at' with an '@' symbol). Please note, however, that I don't accept freebies, gifts, product samples or similar 'blogger drops'. You are most welcome to email me invitations, press releases and info packs, if you think they are relevant to my blog, but please don't send couriers to my gate with goodies. It's embarrassing and awkward to have to turn them away. Links in red ink refer to my cookbook. Fairlady Consumer Awards Finalist 2013. 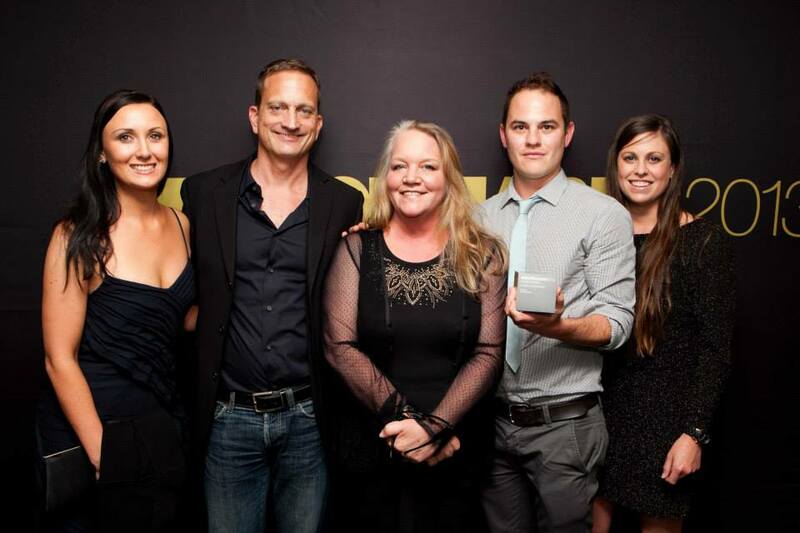 New Generations Social Media Digital Gold Award for Best Community Engagement, November 2013, for my work for digital agency Liquorice. 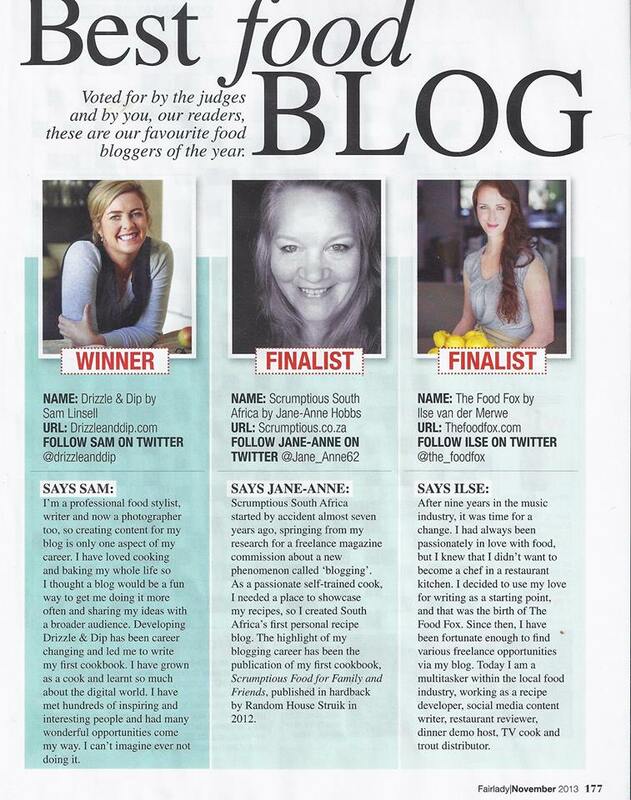 Official MasterChef SA blogger for Woolworths, food sponsors of the series; 12 June 2013. 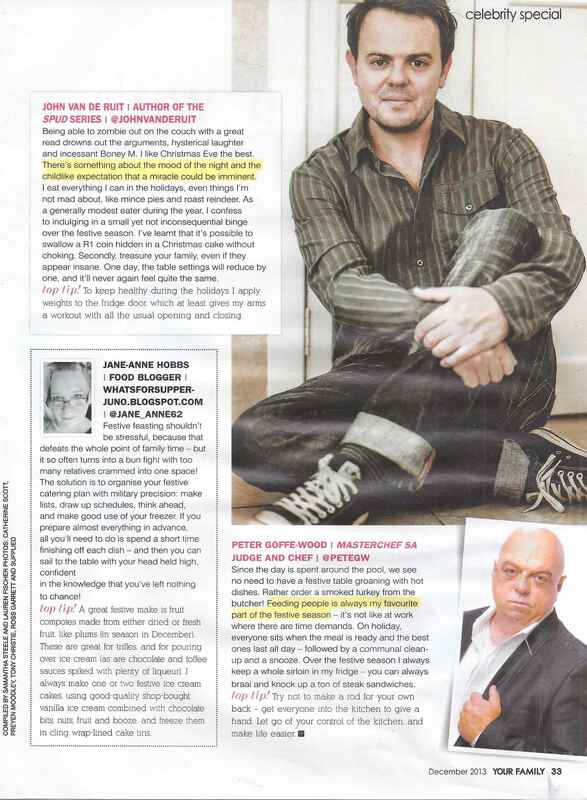 Cooking Super Star: An email interview and 7 featured recipes on Cut Out + Keep, 3 June 2013. Top South African Chefs, Authors And Food Bloggers Taking Part At The Cape Town Good Food & Wine Show, Wine Republic Blog, 14 May 2013. Cookbook Review: Scrumptious Food For Family & Friends by Thuli Gogela of Mzansi Style Cuisine, 26 February 2013. Should you tweet before you eat? 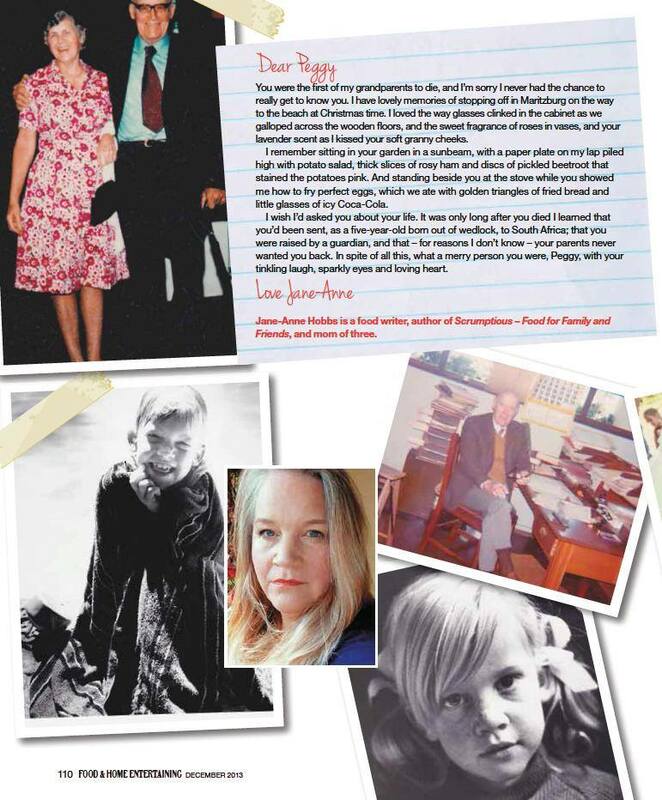 a feature by Thalia Holmes, Mail & Guardian, 22 February 2013. Feasting on a Budget – Tips and Tricks from the Pros by Ishay Govender, for Mango Juice inflight magazine, reproduced here on her blog, 17 January 2013. 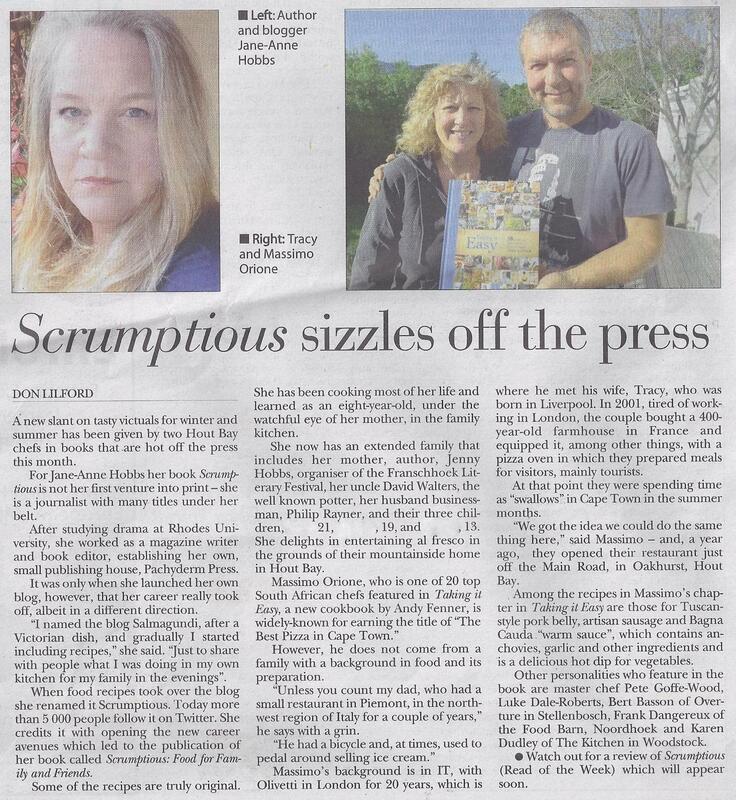 Scrumptious A review by Pauline Vijverberg, Writers Write Reviews, 18 December 2012. Snex Appeal: How to have a simply superb cocktail party, a column in the Sunday Times Food Weekly, 16 December 2012. 15 of Africa's Favorite Dishes An article for CNN Travel Africa, 13 November 2012, with a brief profile here. 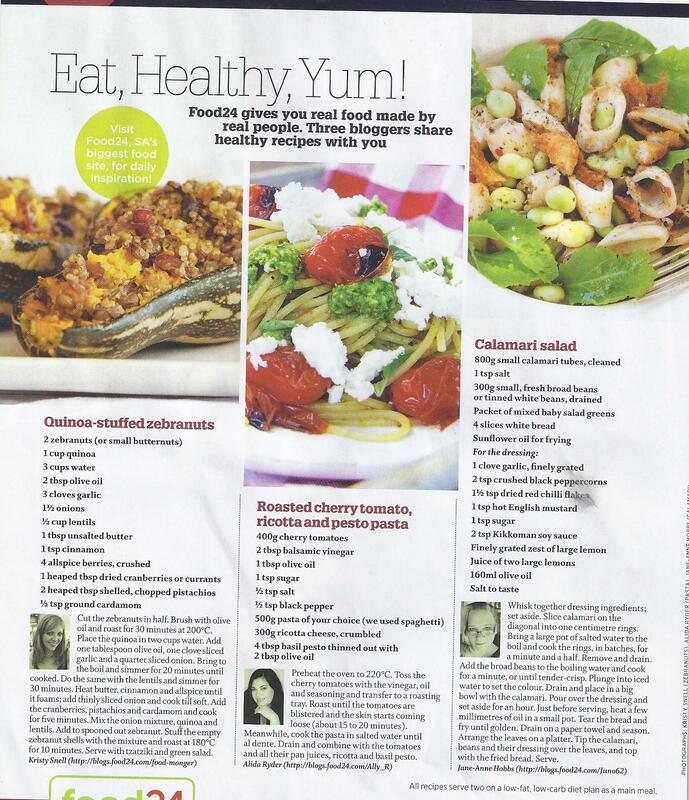 Scrumptious Food For Family & Friends, Child magazine, 1 December 2012. Put Nigella Down, a review by Fiona Snyckers in Thought Leader; 29 November 2012. Scrumptious Food For Family And Friends - Simple and friendly Review by Bruce Denhill, from The Citizen, 15 November, 2012. 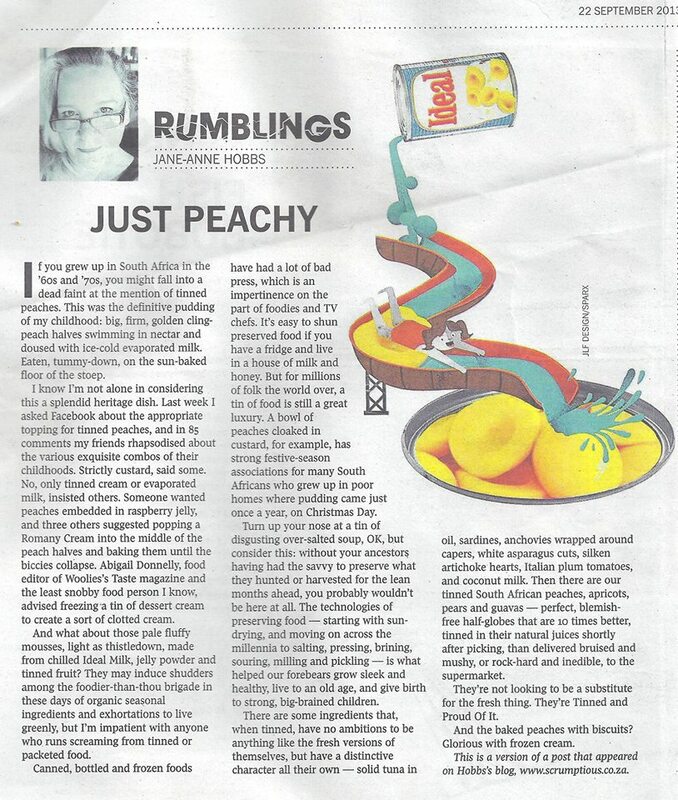 Cooking Scrumptious, a review by 'IG', Business Day, 1 November 2012. Reading Matters, a review by Colin Sharp, Habitat magazine, 1 November 2012. Dinner of a lifetime with Jane-Anne Hobbs at Spier Secret Festival, from Yumsy blog, 28 October, 2012. Browsing the Menu, from Garden and Home, by Diana Wemyss, with photographs by Greg Cox, November, 2012. Cooking by the books by Myrna Robins (recipe), Cape Argus Life, 25 October 2012. Truly memorable meals are seldom made in moments, a review by Myrna Robbins in the Sunday Weekend Argus, 2 September 2012. Scrumptious Food for Family and Friends, a review in Get It magazine, 1 September 2012. A rind of applause, by Myrna Robbins (a recipe), in the Cape Argus, 30 August 2012. Just Arrived, a short review from the Daily News, by Meneesha Govender, 29 August 2012. Recipes for the tail end of winter, a short review from City Press, 26 August 2012. Winner of the Woolworths SA Blogger Burger Off challenge with my recipe for Peppered Burgers with Smoky Cheese, Tomato Relish, Puffy Onion Rings & Fat Chips. Detailed blogpost about the recipe here. 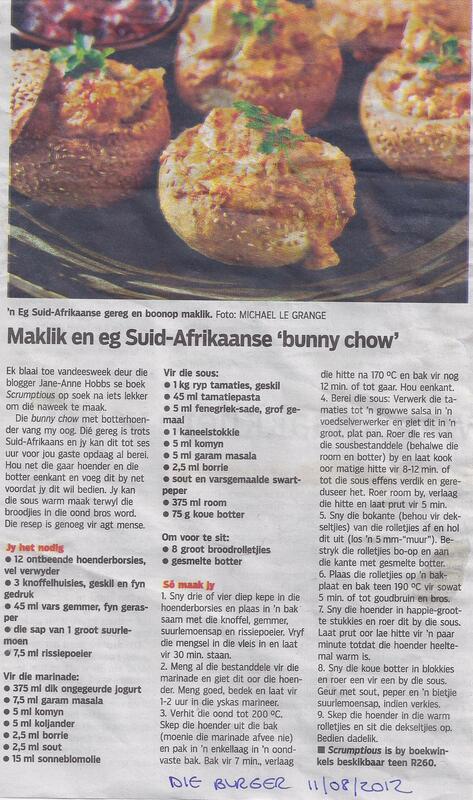 Maklik en eg Suid-Afrikaanse 'bunny chow', (including my recipe for Bunny Chow), from Die Burger, by Karla Janse van Vuuren, 11 August, 2012. Truly Scrumptious: Extended book review plus recipe try-outs from The Local Bag, 13 August, 2012. Books for Cooks, a review & recipe from the Angela Day team at The Star, 9 August 2012. Cooking the books, short mention of my book, Taste magazine, 1 August 2012. 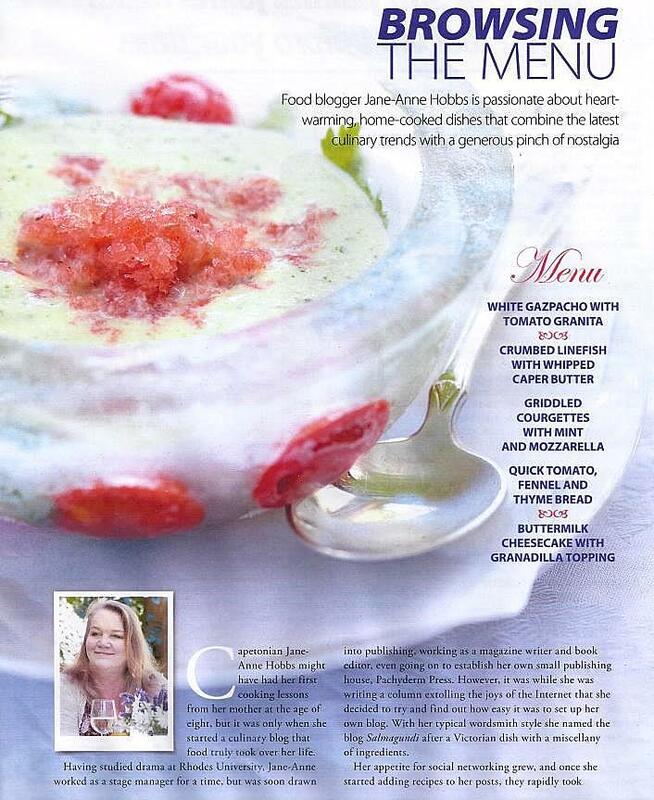 Scrumptious Food for Family and Friends, a review, from Classic Wine magazine, 1 August 2012. Recipes here are simply scrumptious, a review from the Pretoria News, 27 July 2012. 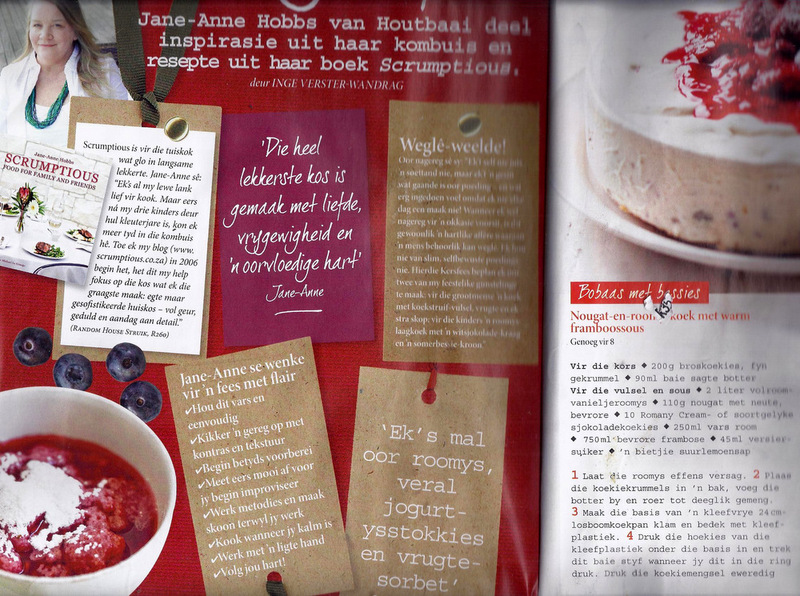 An interview with YuppieChef's Spatula magazine, plus cheesecake recipe and book give-away, 23 July 2012. A review of my book by John Maytham on 567 CapeTalk, 20 July, 2012 (skip to the second half of the audio clip to hear the review). Short review of my book by Claire Mack of Spill, Chai FM, 10 July 2012 (starts at 20 minutes 30 seconds into podcast). Winning Lunches - a recipe in Child magazine, August 2012 (last page). 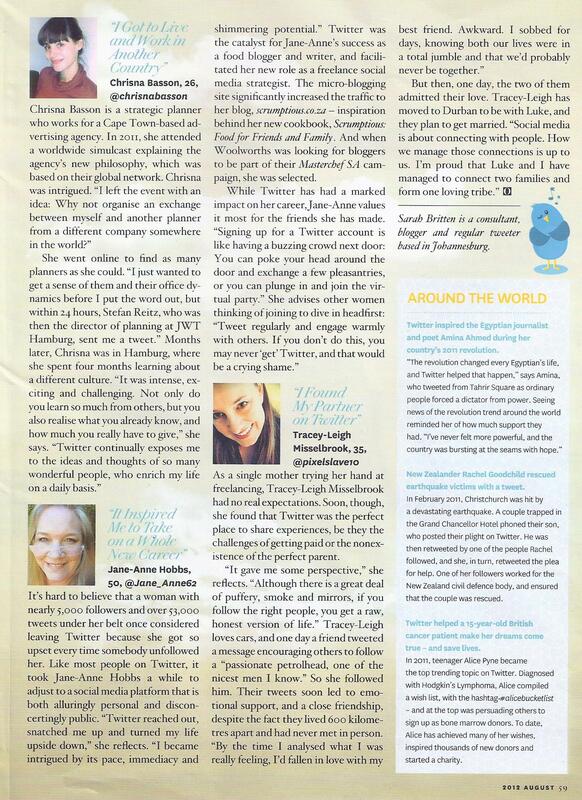 Cosmopolitan magazines's list of South African "Twitter Queens", as nominated by Twitter users. 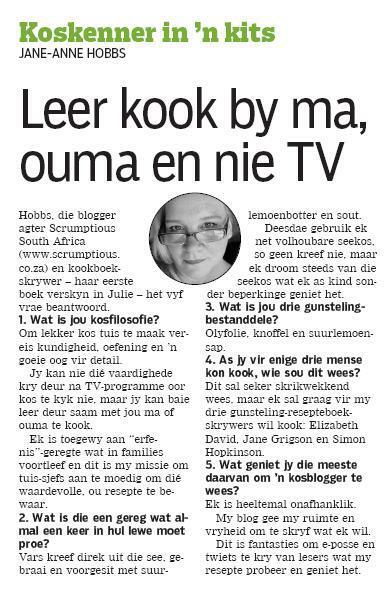 Scrumptious South Africa in Foodista's Best of Food Blogs cookbook (mine is the only blog from Africa featured in the book). 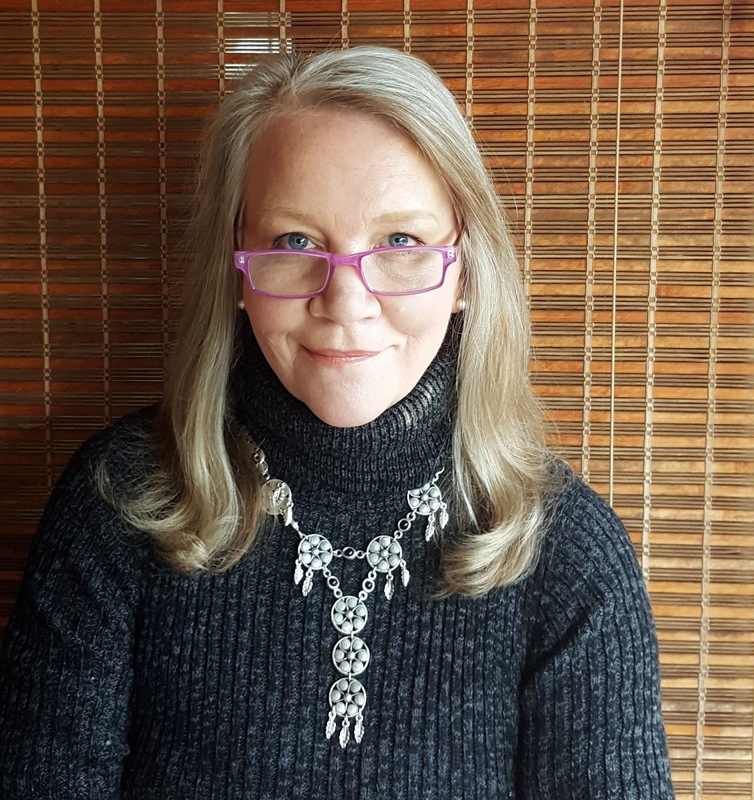 Spotlight on Scrumptious Blog:A detailed description of my blog and cooking philosophy on Cooksister.